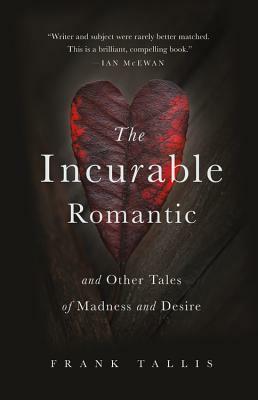 In The Incurable Romantic, Frank Tallis recounts the extraordinary stories of patients who are, quite literally, madly in love: a woman becomes utterly convinced that her dentist is secretly infatuated with her and drives him to leave the country; a man destroys his massive fortune through trysts with over three thousand prostitutes--because his ego requires that they fall in love with him; a beautiful woman's pathological jealousy destroys the men who love her. Along the way, we learn a great deal about the history of psychiatry and the role of neuroscience in addressing disordered love. Elegantly written and infused with deep sympathy, The Incurable Romantic shows how all of us can become a bit crazy in love. Although I have never studied it in a classroom, I have long been interested in psychology and theories of personality, and have done some reading on the topic. Therefore, The Incurable Romantic appealed to me as soon as I saw it on NetGalley. It was certainly an intriguing read. I enjoyed how the case studies each presented a very different take on the psychology behind love, and these were nicely balanced with Tallis' recollections and anecdotes. This is a book that can be easily read by layperson or expert alike, and it offers a fascinating insight into how the human brain processes the idea of love. The Incurable Romantic was a 4.5 star read for me.